In addition to table massage where she spends an hour or longer on the whole body, Leala offers concentrated sessions that focus on one area of the body only. Select “Clinical Table Massage” or “Just The” sessions from her scheduling menu. 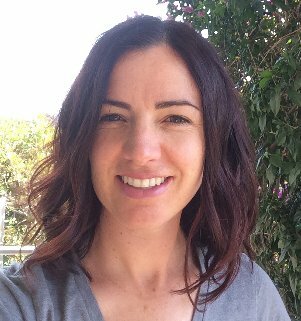 With ten years of experience as a manual therapist, Eve blends western therapeutic deep tissue with eastern philosophies of well-being. Beginning her study of the body at Philip’s School of Massage, she later travelled to Thailand to deepen her knowledge. Working alongside chiropractors and acupuncturists has greatly influenced the healing touch she offers, making it both nourishing and supportive while also powerful and detailed. Combining Swedish, Thai, deep tissue and acupressure she's skilled at facilitating deep release of long standing physical tension and providing pre- and post-natal bodywork. Some of her interests outside of massage include dance, travel and barre classes at Remedy! She is so happy to be a part of the team. Are you a Remedy Autopay Member? Enjoy 15% off each session with Eve! Email her for more details. Laura is a Bay Area native who is proud to have roots in Oakland! As an Esthetician, she believes skincare is more than just a facial or waxing service, but a well-deserved break from the daily grind. In 2017, she named her skincare business Freddy Fox Face Total Skincare, because she wanted to bring the casual “fun” of a spa day back to the treatment room while delivering amazing results! Laura attends quarterly classes and is focused on taking the guesswork out of skincare for her clients. She loves the arts, being in nature, and can make a taco out of anything. She’s overjoyed to be part of the Remedy wellness tribe! First time booking with Laura? Use code RemedyFreddy for 30% off! Are you a Remedy Autopay member? Use code ReadyFreddy for 15% off any service, any time!